Bali is an exceptional place for a vacation or holiday. The island is approximately 8 miles from the equator and enjoys fabulous weather. Visitors get the best of both mountain and sea ecosystems. While on the island, these are five attractions that are worth being at the top of anyone’s to do list. This unique village sits approximately 8km from the capital of Denpasar. The natives are famous for their artistic abilities and have achieved global recognition as an art village. Visitors enjoy roaming through the village; shopping and watching the artisans perform their art. There are lots of different places to search out unique souvenirs from coffee to the famed stone carvings. 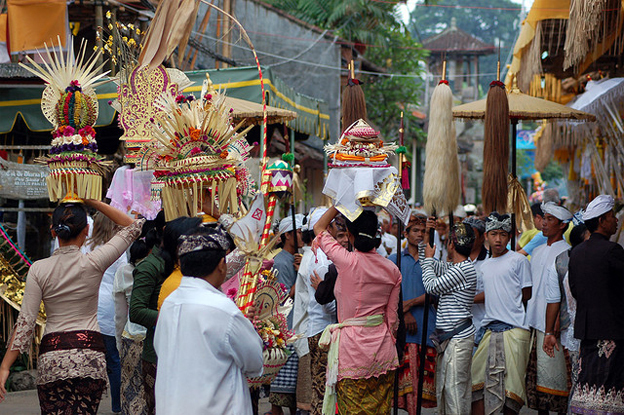 The Barong dance is a daily performance that brings blessings to the village. It occurs at 9am daily and is a must see event. This sea temple is a sanctuary built on a small peninsula by priests in the 16th century. It is a popular place for tourist due its stunning views and exoticism. It is approximately 20km from Denpasar. Visitors must pay to go out to the temple. There are tons of markets and shops ready to sell food and souvenirs to the tourists. Everyone should bring a camera, extra batteries and an empty memory card to capture the beauty. Late afternoon visits allow tourists to take advantage of stunning sunsets. 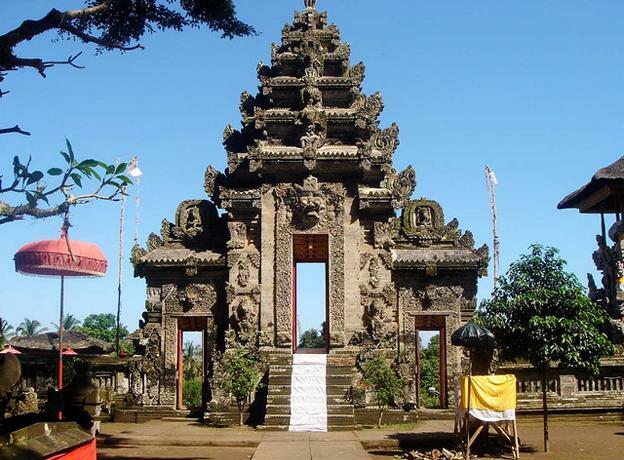 The Pura Kehen is the largest complex of temples in Bali. They are just north of Bangli about half an hour out of Ubud. They were built in the 11th century. The temple is in use for ceremonies and religious events by local worshipers. Visitors must dress appropriately with a sarong to cover legs and a temple waist scarf. Both items can be purchased from markets just outside the temple. There is an admission charge of 3000rp, which converts to less than a US dollar. The beauty and craftsmanship is extraordinary. It is like being transported back into time. Located 83 km from Denpasar the palace was built in 1948. There are three separate pools that are fed by a natural underground spring. The palace and grounds are used by the locals for religious ceremonies daily. The top pool is open to swimming. The middle pool is for meditation, and the bottom pool is for bathing. However, only locals may bathe in the pool. This palace is a favorite among visitors due to its unspoiled beauty and vast landscapes. A simple walk through the palace brings a sense of peace and serenity not often found in today’s world. Ubud is comprised of 14 separate villages, although it is devilishly difficult to tell one from the other. The area is filled with museums, art galleries, shops, and Restaurants. It is located about an hour from Denpasar. The town is safe enough and small enough to explore by foot upon arrival. However, visitors will need transportation to reach the outer areas such as the rice terraces, monkey forest and other attractions. Arrive in time to see the street dances on Tuesday and Saturdays – they are fantastic and start around mid-morning. 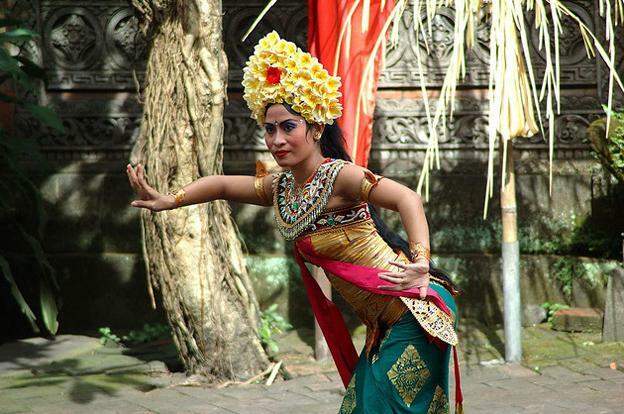 Music and dance are key aspects of Balinese culture and these dances are simply spectacular. Michelle is a frequent traveller and lover of all things Bali. She’s visited the country over 10 times and loves everything that the island and its people have to offer. With Bali holidays on the top of her favorite list, she recommends that you should definitely travel there if you get the chance. It’s both cheap and amazing, something you will never forget.